Assistant professor at the School of Computer Science of the Open University of the Netherlands. Programme leader of the Master Computer Science. I am a member of the Software Technology group and teach various courses in the Software Engineering Master's program. My research interests are functional programming languages in education, type systems, and advanced software technology concepts to support teaching and learning. Before I joined the Open University, I was a lecturer and a PhD student at Utrecht University. 19-10-2018: Advise-Me workshop on digital assessment in mathematics. 8-6-2018: Our research paper Fine-grained Cognitive Assessment based on Free-form Input for Math Story Problems was accepted for EC-TEL 2018. 30-9-2016: Kick-off meeting for the Advise-Me Erasmus+ project. 5-2-2016: Our journal article about the Ask-Elle tutor has been published in Journal of AIED. Or visit the full list of publications. Bastiaan Heeren, Johan Jeuring, Sergey Sosnovsky, Paul Drijvers, Peter Boon, Sietske Tacoma, Jesse Koops, Armin Weinberger, Brigitte Grugeon-Allys, Françoise Chenevotot-Quentin, Jorn van Wijk, and Ferdinand van Walree. Fine-grained Cognitive Assessment based on Free-form Input for Math Story Problems. In Proceedings of European Conference on Technology Enhanced Learning (EC-TEL) 2018, pages 262-276, 2018. Springer International Publishing. Hieke Keuning, Johan Jeuring, and Bastiaan Heeren. A Systematic Literature Review of Automated Feedback Generation for Programming Exercises. ACM Transactions on Computing Education, 19(1):1-43, 2018. Hugo Arends, Hieke Keuning, Bastiaan Heeren, and Johan Jeuring. An Intelligent Tutor to Learn the Evaluation of Microcontroller I/O Programming Expressions. In Proceedings of the 17th Koli Calling Conference on Computing Education Research, Koli Calling '17, pages 2-9, 2017. ACM. Bastiaan Heeren and Johan Jeuring. An Extensible Domain-Specific Language for Describing Problem-Solving Procedures. In Proceedings of Artificial Intelligence in Education: 18th International Conference, AIED 2017, pages 77-89, 2017. Springer International Publishing. Hieke Keuning, Bastiaan Heeren, and Johan Jeuring. Code Quality Issues in Student Programs. In Proceedings of ITiCSE'17, pages 110-115, 2017. ACM. Josje Lodder, Bastiaan Heeren, and Johan Jeuring. Generating Hints and Feedback for Hilbert-style Axiomatic Proofs. In Proceedings of the 2017 ACM SIGCSE Technical Symposium on Computer Science Education, SIGCSE '17, pages 387-392, 2017. ACM. Bastiaan Heeren, Josje Lodder and Johan Jeuring. A Domain Reasoner for Propositional Logic. Journal of Universal Computer Science, 22(8):1097-1122, 2016. Alex Gerdes, Bastiaan Heeren, Johan Jeuring, and L. Thomas Binsbergen. Ask-Elle: an Adaptable Programming Tutor for Haskell Giving Automated Feedback. International Journal of Artificial Intelligence in Education, 27(1):65-100, 2017. Johan Jeuring, Frans Grosfeld, Bastiaan Heeren, Michiel Hulsbergen, Richta IJntema, Vincent Jonker, Nicole Mastenbroek, Maarten van der Smagt, Frank Wijmans, Majanne Wolters, and Henk van Zeijts. Communicate! - A Serious Game for Communication Skills. In Proceedings of Design for Teaching and Learning in a Networked World: 10th European Conference on Technology Enhanced Learning, EC-TEL 2015, pages 513-517, 2015. Springer International Publishing. Bastiaan Heeren and Johan Jeuring. Feedback services for stepwise exercises. Science of Computer Programming, 88:110-129, 2014. Software Development Concerns in the e-Learning Domain. Hieke Keuning, Bastiaan Heeren, and Johan Jeuring. Strategy-based Feedback in a Programming Tutor. In Proceedings of the Computer Science Education Research Conference, CSERC '14, pages 43-54, 2014. ACM. Thomas van Noort, Alexey Rodriguez yakushev, Stefan Holdermans, Johan Jeuring, Bastiaan Heeren, and José pedro Magalhães. A Lightweight Approach to Datatype-generic Rewriting. J. Funct. Program., 20(3-4):375-413, 2010. Bastiaan Heeren, Johan Jeuring, and Alex Gerdes. Specifying Rewrite Strategies for Interactive Exercises. Mathematics in Computer Science, 3(3):349-370, 2010. Bastiaan Heeren, Jurriaan Hage, and S. Doaitse Swierstra. Scripting the Type Inference Process. In Proceedings of the Eighth ACM SIGPLAN International Conference on Functional Programming, ICFP '03, pages 3-13, 2003. ACM. Bastiaan Heeren, Daan Leijen, and Arjan van IJzendoorn. Helium, for Learning Haskell. In Proceedings of the 2003 ACM SIGPLAN Workshop on Haskell, Haskell '03, pages 62-71, 2003. ACM. In the Advise-Me project we develop an approach to using ICT for assessing mathematics achievement of pupils using learning environments for mathematics. In particular, we look at fine-grained cognitive assessment of free-form answers to math story problems, which requires determining the steps a pupil takes towards a solution, together with the high-level solution approach used by the pupil. We recognise steps and solution approaches in free-form answers and use this information to update a user model of mathematical competencies. We use the user model to find out for which student competencies we need more evidence of mastery, and determine which next problem to offer to a pupil. We have tested our work on a large dataset for one problem, and have performed multiple pilot studies in different European countries. At the Open University in the Netherlands, we have started the Ideas project (Intelligent Domain-specific Exercise Assistants), which aims at developing tools for incrementally solving exercises. Our research focus is on strategies for exercises, which guide the reasoning in a particular domain. The software is written in Haskell and can be found on Hackage. I am also interested in improving the quality of type error messages for higher-order, functional programming languages (such as Haskell). For this purpose, we have designed the TOP framework for constraint-based type inference, which is used in the Helium Compiler. A detailed description of this framework is given in my PhD thesis. Johan Eikelboom, Towards lightweight student modelling for Functional Programming Tutors, 2017, with J.T. Jeuring and L. Rutledge. Henrie Vos, Haskell Metamodel for Assessing Software Quality, 2017, with J.T. Jeuring and S. Stuurman. Hugo Arends, Intelligent tutor to learn the evaluation of microcontroller I/O programming expressions, 2017, with J.T. Jeuring. Stéphane Thibaud, A domain reasoner for geometry exercises, 2017, with J.T. Jeuring. Gideon Teeuwen, Comparing architectural styles for distributed expert knowledge modules in intelligent tutoring systems, 2016, with J.T. Jeuring. Harm van den Hoven, Invloed van structuur en samenhang op de onderhoudbaarheid van Haskell programma's (in Dutch), 2015, with J.T. Jeuring. Hieke Keuning, Strategy-based feedback for imperative programming exercises, 2014, with J.T. Jeuring. Tim Olmer, Evaluation of Haskell expressions in a tutoring environment, 2014, with J.T. Jeuring. 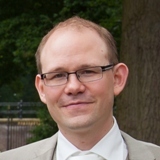 John Willems, Comparison of Data Preprocessing Techniques on Software Sources for Topic Modeling, 2014, with M.C.J.D. van Eekelen. Henk van de Ridder, Feasibility study of REA business patterns in a web oriented framework for business applications (in Dutch), 2010, with M.C.J.D. van Eekelen and A. Bijlsma. Aad van den Berg, A Pre-Processing Method for Software Synthesis of Synchronous Dataflow Networks, 2009, with A. Bijlsma. Mark Ronkes, An Architecture for Searching Radio Signals - coordination of task and result sharing in the search process, 2008, with A. Bijlsma and J.T. Jeuring. Sander Mak, Developing Interacting Domain Specific Languages, 2007, with S.D. Swierstra and E. Visser. Michiel Overeem, Dynamic Archive Management - A Framework for Dynamic Database Schemas, 2007, with S.D. Swierstra and L. Herlaar. Gerrit van den Geest, Constraints for Type Class Extensions, 2007, with S.D. Swierstra and A. Dijkstra. Arjen Langebaerd, Repair Systems - Automatic Correction of Type Errors in Functional Programs, 2006, with J. Hage. My office is in the BBG building at De Uithof, Utrecht. Click here for a detailed description how to reach my office, or see my former staff page for further contact information.